Wines of the Alsace...who knew? From what I can tell, the wines of the Alsace are about as popular in the US as square dancing. Less so, actually, as there are some parts of the US where groups of people really love square dancing. Alsace wine lovers, and I'm guessing you're out there - where are you? Do you meet in secret? Do you suffer in quiet loneliness? For whatever it's worth, I now count myself as one among your ranks. And I say this as a newborn babe. Let me be clear: I know essentially nothing about Alsace as a wine region. I won't even try to kid you - I know so desperately little. But I've been inspired by the quality of what I've tasted recently. I'm sure that there is a river of Alsace plonk out there, as there is in Burgundy, the Loire Valley, and in every other great wine region. But what I've tasted so far has been excellent. White wines of great clarity and focus, lovely fruit, and great intensity without being weighty or sweet. I look forward to more from this region, especially as the cooler weather sets in. A cold December night, sausages, real sauerkraut, beef stew, cabbage soup, goulash, anything like that with a shimmering glass of Sylvaner? Yes, that's for me. Here are notes on a few Alsace wines I drank recently. Please feel free to chime in with your own .02 cents on producers or specific wine that are worth trying. 2004 Audrey & Christian Binner Gewürztraminer Kaefferkopf, $20, Imported by Jenny & Francois Selections. If you think of Gewürztraminer as syrupy and sweet, fit only for the fieriest of Thai food, let this wine be your wakeup call. Bone dry - really. There is a viscous texture to the wine, and incredibly expressive tropical fruit on the nose, but the wine is not at all sweet. It is concentrated and aromatic with lychee and flowers, and a bitter mineral streak underneath. Intensely mineral on the palate with great acidity, there are splashes of fragrance that linger in the mouth after swallowing. Really a lovely wine, one that I could imagine drinking with a variety of meals.But mostly it made me pine for something like choucroute, the traditional "garnished" sauerkraut of the region. Garnished with sausages, potatoes, fatback, and lord knows what other salted meat. This bright and acidic wine would slice very nicely though all of that salt and fat, and might help you to actually finish your plate. 2005 Dirler Pinot Blanc Cuvée Vieilles Vignes, $27, Imported by Robert Chadderdon Selections. Gorgeous wine, really inspiring. Such great texture and intensity. Ripe orchard fruit, apple skins, a hint of yeast and lots of mineral character on the nose. Very pure, very fresh, and takes on weight with air time. Intense and fleshy in the mouth but still very lean, completely dry, and with very strong acidity. There is great length to the finish, and a lovely peach pit bitterness. The acidity and raw materials are strong enough here that I would imagine this wine would age quite well. Now that's an interesting question - other than Riesling, do Alsace wines age well? 2004 Albert Boxler Crémant d'Alsace Extra Brut, $28, Imported by Robert Chadderdon Selections. A very shy nose at first, and it never becomes all that flamboyant. Considering the blend of highly aromatic grapes used to make this wine, that surprises me. A bit yeasty, fresh water, only the most subtle hint of flowers. This is very refreshing and pure with apple skins, bitter peach pits and hints of bread dough. Very nice wine, although probably not something I would re-buy at $28. I wonder, would this be better with just a couple of grams of dosage? The label certainly is pretty. 2005 Albert Boxler Sylvaner, $23, Imported by Robert Chadderdon Selections. My favorite of those I tasted so far, this is just amazing wine. It starts slowly, but on the nose it builds to a crescendo of bright orchard fruit and lime peel, with bitter minerals running underneath. Such a rich and deep nose, so enticing! Absolutely pure and fresh. Great acidity frames the incredibly clear flavors of ripe fruit and bitter minerals. Great balance and length, and a whole lot of character. This is probably one of the lowest still wines on the Boxler totem pole, and it is truly excellent - it shimmers with life. And now I read that Sylvaner is being systematically replaced by other grapes in Alsace. About how the wines are unpopular. Say it ain't so. I've had two Sylvaners in the past few weeks and they were both wonderful, and inexpensive. 2006 Domaine Weinbach Riesling Cuvée Théo, $37, Imported by Vineyard Brands, Inc. This also started slowly (am I drinking this way too young? ), but took on some weight with time. Wet stones and lime peel on the nose, hints of apple skins. Clean and fresh in the mouth with attractive mineral and fruit, and an athletic and nervy body, a bit tense. It is a lean and mineral style of wine, and seems like it would be a perfect accompaniment to cold poached salmon with cucumber and dill, or smoked sea trout, or something like that. We enjoyed it with sea scallops in a creamy curry reduction, roast baby turnips and braised turnip greens. Tasty, but the wine is almost too fine for that meal. NV Champagne José Dhondt Brut Blanc de Blancs, $48, Becky Wasserman Selections. There are no lemons leaping out of the glass, no bursts of intense flavor, no laser beams of acidity. This wine packs plenty of fireworks, but not the type that anyone can see merely by wandering into the park after the Symphony is finished playing. These fireworks are more private, like the things that only you know about intimate moments with your lover. If it sounds like I am sexualizing the act of drinking José Dhondt's NV Blanc de Blancs, I agree, that's a bit grand. What I really mean, is that the wine might not stand out in a crowd, but is entirely gorgeous and rewards your attention. Think of Ally Sheedy's character in The Breakfast Club. Sure, Molly Ringwald was a cheerleader or something, but Emilio Estevez understood that he would do well to look deeper. "This is the most intense of them, the most focused, and for me, the most haunting." The same exact wine that I drank about a year ago has changed a bit in the bottle. This is no surprise - we all know that wine changes with bottle age, and hopefully improves. But I am still learning about how this expresses itself in Champagne. Does Champagne lose freshness with bottle age, but gain complexity? Does it lose some of the acidic intensity, but gain balance? Is there some other formula that applies here? I just don't have the experience to answer these questions. But regarding this particular wine I can say this - the acidic and mineral intensity has mellowed a bit with a year in the bottle, and the wine is more accessible now, softer. It is understated and graceful, and quietly very beautiful. The nose is creamy with puffs of ladies' perfume, lemon, and ginger. Very delicate. There is a solid chalky undertone to the nose that provides good focus. So soft on the palate, a pillow of generous lemon ginger cream, and anchored by gentle but precise and focused acidity. Lots of chalky minerals on the finish and there is a lovely mouth filling fragrance after swallowing. This wine is just delicious, and well worth seeking out. I wonder what more time in the bottle would bring. I cannot tell you much of anything about this wine in the technical department - there is no Dhondt website that I could find, no other source of detailed info. I can tell you that the Dhondt estate is located in Oger in the Côte de Blancs, and that there is at least one other Champagne imported into the States by this producer, the vintage wine called Mes Vieille Vignes (My Old Vines). I was lucky enough to find and purchase on bottle of the 2002 Mes Vieille Vignes a few months ago. How long will I be able to keep my hands off, now that's a good question. I wish there were somewhere I could go to learn more about the vineyard plots, vinification techniques, dosage, etc. Actually, something like Burghound, but for the wines of Champagne. Not that I can't love the wine without knowing these things - I do love it. But I'm geeky like that. If you drink wine regularly you know the value of finding delicious and interesting wines at everyday prices. And I'm not the only one thinking about this lately. Especially now that the whole financial sector seems to be imploding. The other night at my pal Adam's house, we drank three wines with dinner, and each was an absolute gem. And none of them will run you more than $20 retail. Including tax. Even less with the mixed case discount. 2007 Clos Roche Blanche Touraine Cuvée Gamay, $16, Louis/Dressner Selections. I'm one of the anomalous natural wine lovers who just can't figure out why everyone goes so crazy over Clos Roche Blanche. I decided to take another shot, and started with this wine. And what a wine! A bit reductive upon opening, and I was concerned. But after about 15 minutes the nose blossomed, showing sweet ripe gamay fruit, earth, herbs, stony minerals, and an energetic wildness running underneath. Just delicious and quite complex. There is a dense feeling to the wine, although it is not at all full bodied. This is excellent wine by any standard, and if you include it in a mixed case you're paying $14.40 for the bottle. 2006 Thierry Puzelat Touraine Pouillé, $18, Louis/Dressner Selections. Weird, right? Another amazing Gamay from the Loire brought in by Dressner. I hope you can sense my sarcasm. This wine was utterly delicious. Such ripe fruit, nice concentration without feeling too dense or heavy, well balanced with great acidity, a bit of structure for everything to lean on, fresh and pure. Honestly, our mouths hung open at how good this little wine is. This is Puzelat's old vines Gamay, and it brings way more than $18 worth of pleasure. 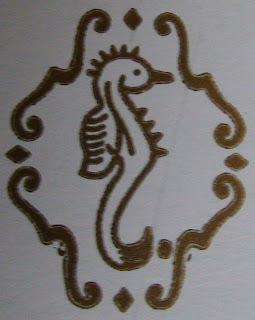 2007 Domaine de la Pépière Muscadet de Sèvre-et-Maine Sur Lie Clos des Briords, $16, Louis/Dressner Selections. Whaddaya want from me - Dressner brings in good wine. I actually wasn't crazy about the 2007 Briords when I tasted it back in April. But it was just excellent the other night, particularly alongside our linguine with clam sauce. The nose is creamy and bright with citrus notes, exceptionally pure. There is a lovely mingling of citrus and sea shells on the palate, with good acidity and length. This wine goes so well with food - I don't think you have to limit yourself to seafood, as is typically suggested. I think this would go well with lighter cheeses, or dare I say roast chicken? Yes, I dare. Ah, the Loire valley...still a haven for those among us who want great wine at reasonable prices. Here are five red wines. They could be anything from anywhere in the world. Would you like to taste and try to identify them...blind? For some people, even experienced wine lovers, this is an exercise in apprehension and annoyance. For others, it is a pleasurable and challenging experience. I still find myself in the latter camp, although I am so woefully inexperienced in many of the world's major wine regions, you would think that I wouldn't want to play this game. I love it though, because it generates thoughtful and unbiased discussion, IF you're playing with cool people. My pal Asher took me to his friend's party the other night and we played this game. Not all of us - most of the people there probably thought we were quite odd. But a few of us blind tasted five red wines and tried to name them. It was an especially pure test for me because I have no idea what this guy keeps in his cellar, no clue about what he likes to drink. Never met him before. So it's really just about trying to determine what is in the glass. Depending on your point of view, I either stunk at this game, or maybe I was okay at it. With only one wine was I able to immediately say "this wine is from here and is made predominantly with such and such a grape." But I was close in weird ways on the other wines, and I was proud of my logic, anyway. Listen - this is not easy to do. Wine #1 was the only one that I felt immediately confident about. It just screamed California Cabernet to me. Asher agreed, and then went further saying that it was from one of the vintages between 1993-1997. It turned out to be a 1994 Stags Leap Cabernet Sauvignon Fay Vineyard. Wine #2 did not show much varietal character. It smelled like an old world wine and it felt pretty tannic with a roasted earth character. So I went with a Grenache based Rhone wine. It turned out to be a 2002 Domaine Virely-Rougeot Pommard 1er Cru, Les Chanlins (I think). I still maintain that there was nothing whatsoever Pinot about this wine. Asher basically nailed it, by the way. He guessed a 2005 Burgundy, young and tightly closed. Wine # 3 was a total mystery to me, and it was a style of wine that I almost never drink. Heavily oaked, little varietal character that I could detect, not much to go on. The dominant smell was vanilla oak, and the nose reminded me of some of the modern Riojas I've tasted, so I went with that - a moderately aged, modern style Rioja. It turned out to be a 1997 Castello Banfi Brunello di Montalcino. Hey, same continent right? And I was correct in that it was, in fact, a red wine. Wine #4 was super bright with cherries and acidity, full bodied, and also very tannic. It didn't seem like a baby, just highly tannic. There was a lot of oak on the nose. I again went with a Rhone wine, this time thinking Châteauneuf-du-Pape. It turned out to be a 1998 Paul Jaboulet Aîné Hermitage La Chapelle. Again, Asher basically nailed it. He called it as a Northern Rhone wine, but he thought it might be Chave. I swear to you, it didn't taste like Syrah. Don't worry, it's not you, it's me. I'm the idiot. Wine # 5 was a tough one, everyone was completely stumped. I sensed a sea-water umami kind of thing on the nose that I've found before in mature Burgundy, although I wasn't getting much else in the way of Pinot character. And although the nose offered mature notes, it was still incredibly tannic on the palate, as if it was born a few days ago. With some vigorous swirling I got hoisin, anise, and other savory notes. Maybe this is a Burgundy with a few years on it, from a year like 1996 where the wines can still be tannic beasts at this stage. And the mouth feel and overall character of the wine could be Pinot - too light for the Bordeaux grapes. I was just guessing here, but I went with a 1996 Chambolle Musigny, and I threw in Les Amoureuses for good measure. Turned out to be a 1996 Prunotto Barolo Cannubi. This was such a great exercise, and so much fun to do with people who were totally non-competitive and interested in discussing the wines and the enjoyment of tasting them. I've never had a Banfi Brunello before, or a Jaboulet Hermitage, or a Prunotto Barolo. And can you imagine the generosity of this guy, Asher's friend Bruce? He decides to have a blind tasting and these are the wines he opens when 20 people are wandering around his apartment. So what do you think? Are my guesses completely lame, or do you see where I was going? Have you done this? How did it go for you? NV Jacquesson Brut Cuvée 732, $42, Winebow. I just discovered in reading the Wine Doctor's profile that Jacquesson was purchased in 1974 by the Chiquet family. Gaston Chiquet, also in Dizy, makes great wines that are part of Terry Theise's lineup. So, when Jean-Hervé and Laurent Chiquet (Jacquesson) sit down to dinner with their brother, or cousin, or whatever Gaston is to them, how do they decide which wine they will drink? I wish I had such problems. Cuvée 732 is Jacquesson's version of a NV Brut wine. It is unusual as a non-vintage wine in that it is more of a vintage-specific wine. 732 is based on the 2004 vintage (79% of the blend), and is meant to showcase its identity as a wine made from 2004's grapes. Next year's version of this wine, Cuvée 733, will be all about the 2005 grapes, and depending on the character of the wines made from those grapes, it could be a very different wine. Yes, that's right - unlike most NV Brut wines, particularly those made by the bigger houses, the character of this wine can change each year. The wine went through many changes in the glass. Not an auspicious beginning, with a cider-y nose, somewhat simple with loads of apple on the palate, and a rather thin feeling to the wine altogether. I had high expectations for this wine, and so I was feeling rather disappointed. I'd read great things about this wine - it was Peter Liem's Wine of the Week back in May. It was part of the Wine & Spirits blind Champagne tasting a few weeks ago, and I loved it there, it was absolutely one of my favorite non-vintage wines. So what was going on with my bottle?!? Jacquesson's wines offer a bevy of great information on the back label, something that I hope becomes more common. My bottle was disgorged in the 2nd quarter of 2007. I put Peter's photograph through an accelerator mass spectrometer, and determined that the bottle he reviewed was disgorged in the 3rd quarter of 2007. The dosage is the same - 3.5 grams. Could a few more months on the lees make such a big difference? And what about the bottle we tasted blind in the Wine & Spirits office, when was it disgorged? As the night progressed, the nose took on a more complex character, with hazelnuts, baked apples, and a bit of toast. A lovely nose in the end, but it took a while. The palate too - a very smooth texture with great acidity, and nice flavors of roast almonds and citrus. Stately and elegant. The finish was chalky and fragrant with green apples. I liked this wine very much, but it is definitely not the same wine I tasted at Wine & Spirits. In the interest of science, I recently purchased a bottle of 732 that was disgorged in the 4th quarter of 2007. We'll get to the bottom of this yet. I was recently given the gift of two Grand Crus and two 1er Crus, both by excellent producers in Burgundy. That's what it feels like, anyway. I traded for them. Back in early 2006 I paid good money for a case of 2005 Bordeaux futures. Back then I guess I thought I would want to cellar and drink this wine 20 years down the road. I know my palate better now, and it doesn't tilt in that direction. So when the store contacted me to tell me that my case is here, I asked if I could swap out the bottles I am no longer interested in. To my surprise, they agreed. Too quickly, maybe. So I thought about it - I paid 2006 dollars for wine that the store now sells, if they still have inventory, at higher prices. If they can sell my 2005 easily at those higher prices, they're coming out ahead. Maybe you could argue that with inflation, return on investment, blah blah blah, that I'm coming out behind.But in the end, I decided to think about it in altogether a different way. The wine that I now owned has almost no value at all to me. If I can trade it for wine that does have value, I'm doing a smart thing. Since I spent this money over two years ago, anything I gain here feels like something for nothing. And that, friends, as you well know, rarely happens. Problem is, Sherry Lehman doesn't offer many of the wines that I love the most. Little to no grower Champagne and nothing whatsoever that I wanted from the Loire. What an opportunity this would have been to grab a load of "free" Clos Rougeard! Plenty of Burgundy, but lots of Faiveley, Jadot, Bouchard, and other negociant bottles, not what I usually go for. In the end I found some great stuff, wines that I will cellar for as long as I would have the Bordeaux. Wines that I will look forward to with great anticipation. I could have gone all Corton, as they are about the same price, but I believe in diversification. Even though that 1971 Corton I had in Portland recently convinced me that this is the little Grand Cru that could. And Chandon de Briailles...so good. The Cathiard wine should be great too, as long as I'm patient with it. The Weinbach comes highly recommended, and seemed like the way to go as I'm trying to learn about Alsace wines. Think of it as "the player to be named later." This time I didn't give it away by using the producer's names in the photos (duh). I tried to make it more challenging this time. Take a peek, and submit your answers in the comment section. Bottle # 2: If you get this one then you're a genius, without question. Summer's not done yet, folks, and some of the best produce is peaking right now at the markets. Okra is one of my favorite vegetables in late August and all through September. At my favorite vegetable monger's stand, I seem to be one of the only people digging through the bins looking for choice specimens. It's me and a smattering of Caribbean and African ladies. Yup, I just used the word "monger." Classic okra dishes in this country include gumbo and fried okra (simply dipping them in buttermilk, rolling in salted cornmeal and frying). I love a dish called Purloo, an African baked rice dish that is loaded with okra. I got that recipe from the NY Times Dining section a few years ago. In Africa okra is shredded and used in soups both for flavor and as a thickener. And Bhindi Masala is one of my favorite south Indian dishes. I will never forget the version I was served in Kerala just over 10 years ago. It was fiery hot but mellowed with a bit of coconut milk. Okra is full of vitamins and minerals, it's a versatile ingredient, and it tastes great. So why aren't you cooking with okra? My guess is that you don't like the "goo" that comes out when you chop it. Or maybe you find okra to be a little tough. Or maybe you don't have a simple recipe that features okra - all of them that I mentioned above require a bit of work. Well let's deal with all of these issues lickety-split, because you there are only a few more weeks of okra (in my neck of the woods, anyway), and you need to bring this into your life. First of all, look for okra that are bright green and free of blemishes. There are small hairs on the outside that are actually quite prickly when the okra are fresh. It's not unusual to wear a plastic bag on your hand when picking out okra. Bigger okra can be tough, even if you deep fry them. Dig through the bin, parrying the expert fingers of the Caribbean ladies, and take the small okra. I don't like them to be bigger than the smallest one in the picture. Secondly, the goo. When you cook okra, there is going to be some goo, and that's just life, so roll with it. When you get comfortable with okra, and if you enjoy it enough, you might incorporate this into your dishes - it's a natural thickener for stews, soups, or sauces. Imagine pureeing stewed okra with hot chilis and coconut milk, and using that to stew some chicken thighs or chunks of beef. If the goo really bothers you, you can minimize it by cooking the okra with lots of acid. For example, and here's maybe the simplest okra recipe in the world, chop the okra and stew them in good canned tomatoes, garlic, salt, and one fresh serrano or jalepeno chili pepper that you poke holes in with a fork. If you use small okra, this will be tender and delicious in 15 minutes total, the goo mitigated by the acids in the tomatoes. Some rice or a baguette, a nice Alsace Gewurztraminer or Pinot Gris, and you're all set. You need one glass jar with a good seal, washed and dried. About a pound of okra, small ones only, washed and patted dry. Boil in a heavy pot about a half cup of water and 3/4 cup white vinegar. Saturate this solution with salt and sugar. I prefer a more salty okra pickle, so I use about 1/3 cup of kosher salt and a bit less of sugar. You can play with the ratio, though. While this is coming to a boil, put the okra in the jar. I find it easier if you begin by putting them upside down, then add a second layer right side up. Add seasonings to the okra in the jar before you pour in the boiling brine. I add chunks of fresh garlic, whole black peppercorns, dried chili pepper, a bay leaf, and coriander seeds. Pour in the boiling brine. Allow the water to settle in, top off a bit, and seal the jar. Put it in the fridge and forget about it for a few days, then dig in. The bottle at left has been opened and some of the brine spilled out - the liquid level should be higher.These are great with fried fish, sandwiches, anywhere you'd eat a pickle. My 19 month old daughter walks around the house eating them by themselves. Here's a link to Overlooked Farmer's Market Bounty #1 - Fava Beans. NV René Geoffroy Cuvée Rosé de Saigné, $30 (375 ml), Terry Theise Selections/Michael Skurnik Wines. I must admit, rosé of Champagne is something that still perplexes me. I find very few to be truly compelling, maybe one in five. The same grower/producers who make wines that I love, I often find their rosés to be uninspiring, and they're more expensive than the regular non-vintage wines too. I definitely need more time with the wines in order to understand them, but it's also possible that as a style of wine, rosé of Champagne might not be my thing. But wait, it's not so simple. There are two distinct styles of rosé of Champagne, and I've been drinking only one of them, as it happens. Broadly speaking, rosé of Champagne is made in two ways. The more common method involves blending still red wine with the white base wines. This method allows the producer a greater degree of control over the finished wine, and therefore, consistency. For whatever reason, I've not found these wines to be as lively and exciting as other Champagne. With the saigné method, the producer allows the red grape skins to stay in contact with the juice for a short while, and then bleeds (saigné means bled off- sang=blood...think sangria, sang-froid, etc.) off the now red-tinted juice. It is more difficult to control the finished product here - the natural variations of the growing season play a more prominent role. This is why each bottling of one producer's rosés de saigné can be quite different in color, aroma, and flavor. I've been drinking rosés made by blending still wines. There are a few that I've really liked, wines by Billiot in particular. Time to try some wines made with the saigné method. As it turns out, Geoffroy makes a rosé de saigné that I really like. Not a big surprise for me - I like every single Geoffroy wine that I've tasted. At this point, if I could take one Champagne producer's lineup to a desert island, it would be me and René out there under the palm trees. The version currently on the shelves is almost electric orange - the photo doesn't do it justice. The nose is deeply perfumed with luscious dark Pinot fruit with a stabilizing chalky base. Such richness and perfume on the nose! The palate is super lively with fruit and acidity. Smooth and creamy in texture with a broad mouth filling feeling. The finish is deeply mineral and leaves a floral fragrance in the mouth. This wine is just delicious, and plenty bold enough to partner with our late summer meal of broiled bonito and Italian-style braised green beans. More rosé de saigné is in my future, I can tell. I know Boulard makes one. Any others that you'd care to recommend? Jenny & François' tasting is something that I have come to look forward to. They do everything right - they send their email advertising the tasting well in advance, they create a good physical space in which to taste, and they order the wines thoughtfully and encourage tasting in that order. And they provide brief but comprehensive notes on their producers and wines - all in the same order in which the wines are poured. On top of that, they're a lovely group of people, very friendly and eager to discuss their wines. Oh, and by the way, they're committed to finding and importing wines that are good for you. Wines that are made with organically and/or biodynamically grown grapes and with minimal intervention in the cellar - natural wines. Their website describes their philosophy rather eloquently and without any dogma. My two favorite Jenny & François selections are wines that I would pour for anyone. Lassaigne's Champagne from the chalk hills of Montgueux is just a fantastic Blanc de Blancs. Intensely mineral and dry, broad and rich with great fruit, and very well balanced. Sadly, this Champagne seems now to have broken the $50 barrier. It used to be about $36, and I'm talking about a year ago. And then there is Binner. I like every wine they offer, from the lovely blend called Saveurs Printanieres to the Gewurztraminer, the Riesling, the Pinot Gris, and even the light and incredibly drinkable Pinot Noir (not as crazy, though, about the Crémant d'Alsace). This is a super-solid Alsace producer whose wines cost no more than $25, and in some cases are under $20. That Pinot Gris and a plate of choucroute...or that Gewurztraminer and a bowl of spicy goulash...or that Pinot and a bowl of creamy mushroom soup...I'll take it. The Jenny & François portfolio offers some of my favorite reds that cost less than $20. This, in my opinion, is the strongest part of the portfolio - the selections from southern France, country wines from the Rhône, Languedoc-Roussillan, and Provence. There must be 10 fantastic wines from these areas that should retail for $20 or under. Serious, delicious, terroir focused, food friendly, interesting wines. 1) 2005 Hervé Souhart VdP Le Souteronne (100% delicious Rhône Gamay). 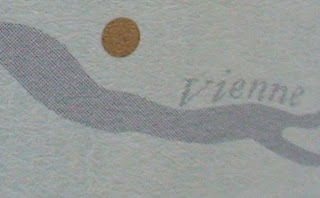 2) 2006 Gilles Azzoni VdP Le Raisin et L'Ange Fable (100% Ardèche Syrah for acid freaks). 3) 2006Estézarques Côtes du Rhône Gres Saint Vincent (a top scorer in the recent NYT piece). 4) 2006 Estézarques Côtes du Rhône Villages Les Genestas (same wine coop, I like this one even better). 6) 2005 Deux Anes Corbières Fontanilles (full of brett and fruit). 7) 2005 Domaine Rimbert Saint Chinian Mas au Schiste (Gorgeous!). 8) 2005 Les Tonnillières Coteaux du Languedoc Pic Saint Loup (Gorgeous!). 9) 2005 Clos Siguier Cahors (a good decant, and beautiful - try with duck breast). 10) 2007 Estézarques Côtes du Rhône From the Tank (4 bottles in a box - and it's really good). Here are my notes from the Spring Tasting, in case you're interested. This is a importer worth watching, strong enough so that I would try a bottle knowing nothing other than the fact that Jenny & François selected it. Time for something new here at Brooklynguy's place. Something silly, but hopefully fun. 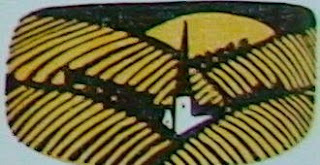 Each week I'm going to post chopped up pictures of two wine labels and you can play Guess That Bottle ®. Test your wine label memory! Forget about vintages, I'm talking about producers, and where possible, specific wines. Write your guesses in the comment section. I'm still figuring out how to award a prize to the person who accumulates the most correct guesses. But does every game have to have a winner? Can't you do anything just for the joy of doing it? What's wrong with you, anyway? Trust me - this is definitely a waste of your time. Have some time to kill? Guess That Bottle is the game for you! 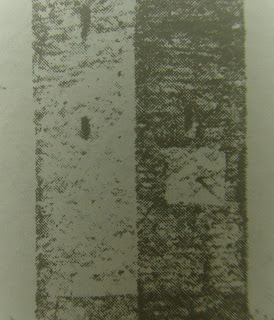 Now let's get to it, the inaugural edition of Guess That Bottle. Bottles will be unveiled in about 24 hours. Krug, Cristal, Dom Perignon...and More. I was incredibly lucky to participate recently in the Wine & Spirits Magazine Champagne tasting panel. "Lucky" sounds trite, but I don't mean it that way. It was an amazing experience, and I was so lucky to have been part of it. Tasting 50 wines by 12 producers in a professionally organized blind tasting format...let's just say that I have never learned more about wine in a four hour period. Not about the technical aspects of vinification, although that was discussed and did provide some context, but more about smelling wine, tasting it, discussing it, listening to others speak about it and considering their thoughts. I wish I could do this every week. Tasters spend quiet time with the wines in a flight, evaluating and making notes. Then Josh Greene says "Okay, everyone ready? Wine number 1, show of hands." And you give the wine a thumbs up, a thumbs down, or a thumbs sideways. Thumbs up means the wine is good and should be reviewed by the magazine. Thumbs down, no, and sideways means that you're on the fence. Everyone shows their thumbs together, so yes, there is the possibility of being the only dipstick at the table who likes a particular wine. Then we go around the table and talk about the wines. It was like the best graduate school course I ever took. Blind tasting is a humbling and an enlightening experience. Forced to throw out any preconceived notions, it's better not to worry that you'll wind up hating something you "should" love, or vice versa. Best to concentrate instead on what is in front of you, purely on how it smells, tastes, and feels in your mouth. This is how Yoda would taste wine, I think. It's as if there is a 6th sense that aids you when tasting blind, the sense of truth. You cannot be biased by labels or prices, those impurities are gone. I'm not going to review wines, Wine & Spirits will do that at the end of the year. But I will tell you that I learned an enormous amount. I learned to recognize the signature that marks the wines of some producers - earthiness, for example, in the wines of Vilmart & Cie. And alternatively, that some producers present a lineup of wines that don't seem to be unified by anything other than the name on the label. I learned that Champagne can show differently at different times - for example, the wines of Lallement are certainly better than the way they showed on that day. And the wines of Chartogne-Taillet are just wonderful, better than I thought based on my experiences at home. I learned that I should trust my own tastes when not blind more than I tend to. It turns out that I really do prefer grower wines over big houses. The flight that was by far my least favorite happened to be from Moet (thumbs down on all 6 wines, including the 2000 Dom Perignon), a producer that represents the antithesis of healthy farming. I learned that sometimes the most expensive wines can actually be the most wonderful and show stopping - for example, the1985 Krug Collection or 1996 Krug Brut. But it's also possible that the most expensive wines will not distinguish themselves from the pack - for example the Roederer Cristal lineup, with the exception of the 2000 Rosé, just didn't lift my skirts. All in all, an exceptional experience and one that I hope to repeat. Who knew when I started this blog two years ago, that I would participate in something like the Champagne tasting panel at Wine & Spirits?!? Funny, this life, and unpredictable. NV Tarlant Champagne Brut Zero, $42, Jon-David Headrick Selections. Just take a look at this label - I wish that all Champagne labels contained this much information. What more could you really want? I know the vintage that the wine is based on, the blend, the disgorgement date, the level of dosage, time on the lees, and more. When this information is provided, I have some context with which to frame the wine I'm drinking, something I truly appreciate as I continue to learn about Champagne. The well designed and informative Tarlant website stands out among Champagne websites in the same way that the label stands out among Champagne back labels. So I'll give you only the barest of summaries - you can easily learn whatever you want to know (except yeast selection and production quantities, but I won't nitpick) about Tarlant on their site. I will say this: Tarlant is deeply committed to environmentally sound farming, and to creating wines that express something about their place. In most cases there is very little or no dosage. I'm not sure whether this says something about house style in wine making, or about farming and harvest dates. Tarlant produces a broad lineup of wines, and as is typical for many grower/producers, I've seen only three of the wines here in New York. The Brut Rosé turns up every now and then, and there are a few choice retailers who carry La Vigne d'Antan, the rare Blanc de Blancs cuvée made from pre-phylloxera ungrafted rootstock. I've tasted this wine and it's utterly gorgeous, and at a bit over $75, it really is a good value. But that's another story. The Brut Zero is a wine of power and finesse, a wine that offers a vivid sense of the chalky mineral soils on which it is grown. The nose is briny with toasty hints, notes of preserved lemon, and a definite earthiness. It is a lithe and focused nose, quite intense, and very attractive. Sheer and elegant in the mouth, this is a delicate wine that also broad and muscular. The palate is generous and very well balanced with good acidity and strong mineral and earth notes. The absence of dosage is not at all the defining element of this wine - it is well balanced and certainly quite ripe. Just a delicious wine that offers loads of pleasure, a wine that is well worth coming back to. BUSSACO Scott Carney, a master sommelier who has managed Gotham Bar & Grill, the Tonic and many other places, is opening this new wine bar, with a first growth not just in the bottle, but also in the oak of a communal table made from a tree that came down in Prospect Park. The American food will be by the chef Matthew Schaefer. 833 Union Street, (Seventh Avenue), Park Slope, Brooklyn, (718) 857-8828. Sept. 26. There's a wine bar opening in my neighborhood. Hard to put my finger on exactly why, but this place sounds like a nightmare. Is it just a (bad) pun, or will this place be about big-shot Bordeaux and fancy decor? Will there be anything good to drink on this list? I'm betting on big Cabernet and expensive grilled prawns with lemongrass coconut foam. From what I can tell, in NYC we often create wine bars the way we create movies in Hollywood: loads of special effects and flash, short on substance. Why can't someone open a wine bar that offers excellent and inexpensive wine in a pleasant atmosphere with some simple but good food? A place that can please everyone - young cool-cats out on a date, a group of friends hanging out together, parents looking to enjoy a glass and a simple meal in the neighborhood on babysitter night, a pair of wine-geeks, and a solo drinker with a newspaper? Do those places exist only in Paris? I wish there were a place nearby where I could go on a Wednesday night and get an $8 glass of good Beaujolais, some sausages, bread, and salad. Is that too much to ask? And that place, my friends, would not require the pedigree of Master Sommelier or Gotham Bar & Grill. Not that there's anything wrong with those things. It's just that the place I want wouldn't need them. I wish I could open this wine bar. Anyone have $300 grand? I'm telling you - it would be a hit in its friendly, delicious, and hugely satisfying simplicity. This is not a post about wines that are chaste. This has nothing to do with the new Republican Vice Presidential nominee. This is a post about "purity," a common wine descriptor that I've been thinking about lately. I often see "purity" in tasting notes as a way of describing wine. Certain wines are very pure, and appreciating this can be a big part of the pleasure that a wine gives. Appreciating purity in wine is interesting because it really means appreciating what is not present in a wine. What does it mean to say that a wine has "great purity?" Purity refers to the lack of anything that might obscure a wine's natural aromas and flavors. New oak, added sugar, acids, or enzymes, industrial yeasts, pesticides and other sprays, excessively late hang times - these things, among others, can add their own layers of aroma, texture, and flavor to wine. I'm not saying that it's impossible to make a wine of purity if new wood is used. And I'm not saying wines that are fermented using industrial yeasts are never pure. Purity is something that cannot be defined so absolutely, like oak or malolactic, for example. New oak is either used or it's not. Wine either goes through malolactic fermentation or it doesn't. Purity might be more akin to beauty - it's in the eye of the beholder. To me, a wine doesn't taste pure, it feels pure. I get it when I can sense how clean the fruit is, when I can feel the clarity and definition of its aromas. When it breaks down on my tongue to reveal something more than just fruit, something essential about the grape variety, and about the soil and the place where it was cultivated. Hard to define, I guess, but for me, easier to feel. Here are some wines I've had recently that I found to be of exceptional purity. These may or may not be available on retail shelves in your area. If not, no matter - these are producers who make wines of exceptional purity every year. It's part of their style. Is it a coincidence that these producers tend to farm biodynamically? You decide. 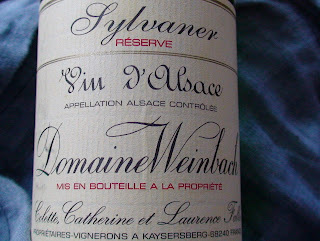 2005 Domaine Weinbach Sylvaner Clos des Capuchins Réserve, price unknown but about $20, Vineyard Brands Imports. As can be expected of an Alsace wine made using Sylvaner, this wine is very mineral. The nose offers clean metallic notes, and there are focused citrus and mineral flavors. It really blossoms on day two when melon and floral aromas emerge at the front of the nose, which is still dominated by clean and pure minerals. This is a very pretty wine, one that would work well with shellfish on day one or with a plate of ham, bread and good butter on day two. 2006 Marcel Lapierre Morgon, $23, Kermit Lynch Imports. A Beaujolais that drinks much better at home then it does at a tasting, this wine benefits from exposure to oxygen. It's lovely right upon opening, but with a little airtime there are incredibly well defined aromas of pure and clean Gamay fruit, iron, and very mild brett. And it's not a cop-out to describe an aroma as "Gamay fruit." That's the whole point! This wine smells like Gamay, and that's a beautiful thing, when done properly. Perfectly balanced with great underlying acidity, this is truly an incredible bottle of wine, one of the finest examples of its type. 2006 Gilles Azzoni Vin de Pays de l'Ardèche Le Raisin et L'Ange Fable. $15, Jenny & Francois Selections. Not your typical Syrah, that's for sure. This is high elevation light bodied fresh and pure wine, almost shrill with acidity. But the aromas of young Syrah fruit - bacon fat, horses, purple flowers, herbs and earth - they are all readily apparent. Tough by itself, this wine shines with dinner. Late summer tomatoes, grilled pork, duck...this will stand up to and compliment these and other dishes. 2004 Domaine Pierre Amiot et Fils Morey St. Denis 1er Cru Les Millandes, $42. This is a wine that doesn't suffer at all from the under-ripe green flavors that plague many of the 2004 reds. It was absolutely delicious. Find-more-bottles-immediately delicious. Soft and gentle on the nose, a mix of clean red and black Pinot fruit with notes of red clay earth underneath. With air time there are pretty floral aromas too. In the mouth the perfume moves between floral and earth, and the wine really caresses the palate. A wine of purity and elegance rather than weight, this wine leaves potent and lingering aromas of flowers, dark fruit, and mineral earth. So graceful and pure, yet such an intense core of dark Pinot fruit, a core that should unravel over the next 7 years or so and offer much to the lucky drinker. This is the wine that gave me the idea for this post.